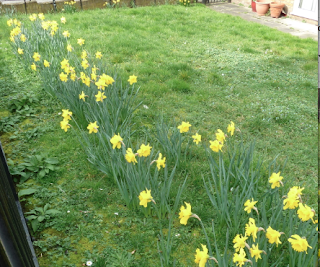 It’s time for another corner of the Triangle to have daffodils. In the last three years we've planted one area per year. This year it's the corner of Ashburnham Place and Egerton Drive, in the grounds of Lamley House. We'll be gathering there at 11am on Sunday 27th November to plant the bulbs. Alison Haworth says, 'If you are free, please come and join us.